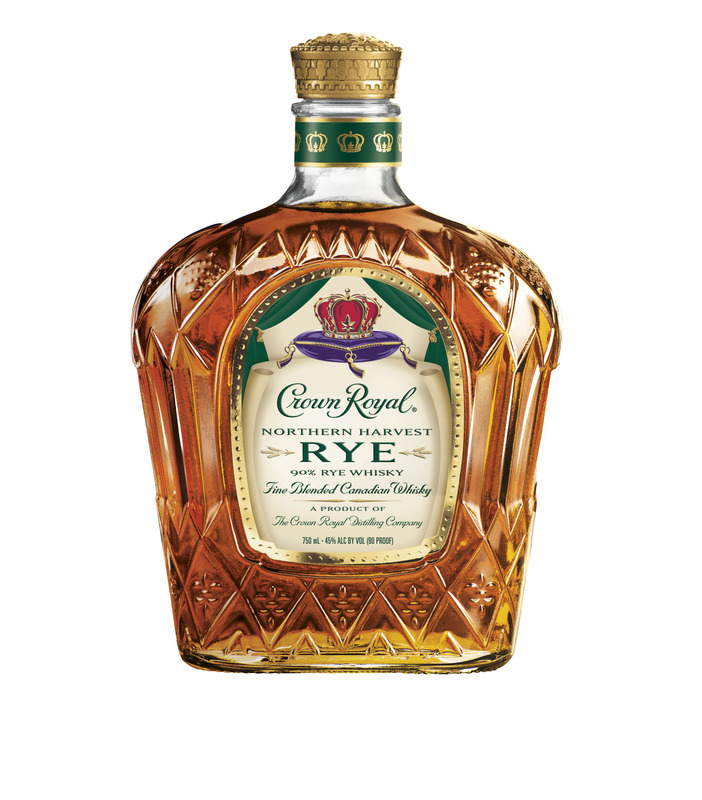 A Crown Royal Rye? Wait, isn’t all Canadian whisky “rye”? Hang on a sec. There’s a lot of confusion about rye and Canadian whisky, and rightly so: By law in Canada, a whisky only has to have some rye in it to be called a rye, part of an outgrowth of hundreds of years of shorthand and tradition there. Today, most Canadian whiskies have quite a small amount of rye in the mash — like Bourbon, they tend to mostly be made from corn — yet the myth that Canadian whisky is largely rye remains. On first nosing, I thought perhaps Crown mistakenly filled this with its Regal Apple flavored whisky. Very strong apple notes on the nose are backed by a little caramel, giving it a distinct apple pie character. The body is again distinctly apple-fueled, but here more of the spice shows itself. Cloves and allspice are strongest, with some molasses-like sweetness sugaring things up a bit. The finish is slightly drying, and a bit of roasted grain character comes to the fore before fading out. This is a truly strange whisky, unlike any other rye I’ve encountered in recent memory. The intense fruit character isn’t unpleasant, but it’s not what I’m looking for a quality rye. This whisky will likely resonate with many fans — but may well turn off just as many drinkers. The other 10 percent should be malted barley. Unless the rye is malted, the mash needs the enzymes from the malted barley to keep from becoming a sticky mess. Erich, it is quite common for distilleries (especially in Canada) to use commercially-available enzymes for starch conversion, so the last 10% does not need to be malted barley. I have been a bourbon drinker for 50 years. Every now and then I like to mix it up and drink a good rye for a few days. I saw the Crown Royal advertised at my Publix so I thought I would give it a try. What a waste of $27.00 dollars. This is piss water. Save your money. It’s easy to trash a new product from a well known distiller. Piss water? Seriously? I just tried this for the first time. I made a simple Old Fashioned, with a muddled orange and a little sugar. I’ve been bartending for 25 years and this was one of the best cocktails that I’ve had in a long time. I don’t drink rye straight (I don’t know many people who do) – but for an Old Fashioned, I would go to this anytime. I just bought a bottle. I drink straight rye (Bobby) as my favorite drink. I do like rye with brown apple cider too… flavors go well together with this – see review about apple flavors. Usually I enjoy Bulleit or Rittenhouse or Alberta Rye… all very much stronger flavored (read nasty – straight to the untrained palate). This was enjoyable and light. LIGHT. I like strong flavors so may not buy another bottle. Tasty, but light for me. Its a good place to start if you are new to Rye. And well better than many MANY of the other ryes – high and low priced ones. And now don’t you feel ridiculous having given The Best Whisky in the World just a B rating? I appreciate your honesty and humility in matters such as these. They seems to be lacking elsewhere. Knowing Jim Murray growing up in the streets of west Philadelphia hanging out on the basketball court. These guys were starting trouble one day and a fight broke out and my mom sent me to conservative bowl air California to live with my uncle and aunt. Now I drink all the good stuff. Having just purchased some of this stuff for medicinal (holiday cold!) purposes, I drank a single on the rocks with a liberal squeeze of fresh meyer lemon from my backyard tree, and I have to say I can’t find any problems with its caramel-apple-spice taste. Ideal simple cocktail. Taken neat, it is a little robust, but it still tastes great. It’s not punching above its level, but I think it’s a good value disregarding the hype. Malpaso-take another sip after your nasal congestion clears.